Located in a popular tree lined residential road close to South Croydon Train Station is this lovely one bedroom first floor conversion flat which has the added advantage of having NO ONWARD CHAIN, SHARE OF FREEHOLD and LEASE EXTENSION. The property offers an appealing interior throughout and benefits from having a spacious character bay fronted reception room along with a good size double bedroom with built in wardrobes, kitchen and a bathroom with window. 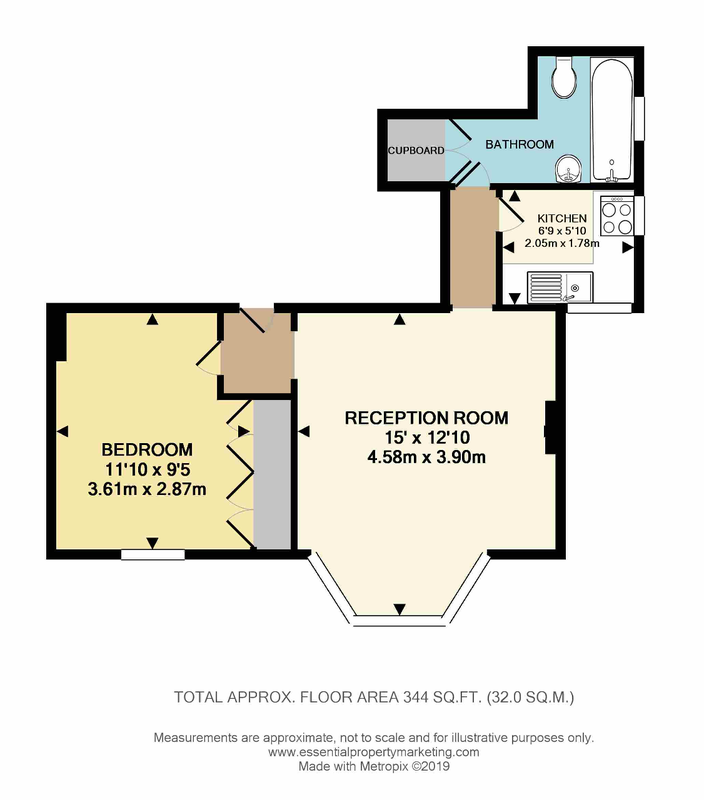 Externally is an allocated parking space along with gated access to the rear communal garden. Other points to mention are gas central heating and double glazing throughout. This is now a great opportunity to acquire a realistically priced property in a popular location surrounded by numerous amenities. Viewing Strongly recommended. The property enjoys a superb convenient location with numerous amenities to hand including the very nearby South Croydon Train Station serving central London, bus services with access to central Croydon, great restaurants at South End, number of reputable schools for all ages including Whitgift and Riddlesdown Collegiate ( currently outstanding ), variety of shops and the M25 junction 6 can be located at Godstone providing access to both Gatwick Airport and the south coast.